Google's latest version of its Android operating system is barely out the door and it's already in a patent controversy. The Nexus 7 tablet, which runs on Android 4.1 (Jelly Bean), infringes on intellectual property in Nokia's patent portfolio, contends the Finnish handset maker. The patents infringed by the Google tablet made by Asus are believed to be related to WiFi standards incorporated into the device, according to The Inquirier. Patent disputes have resulted in some Android devices from being sold in the market, most notably Samsung's Galaxy 10.1 tablet and Galaxy Nexus smartphone. A judge has blocked the sale of those devices in the US because of the likelihood that they violate patents owned by Apple. However, any dispute between Nokia and Google isn't likely to escalate to the level of the antagonism between Apple and Samsung. Nokia appears to be sanguine about the situation. "Companies who are not yet licensed under our standard essential patents should simply approach us and sign up for a license," a Nokia spokesman told The Inquirer. Meanwhile, the Android development team has released the latest numbers on devices running the various versions of Google's operating system. 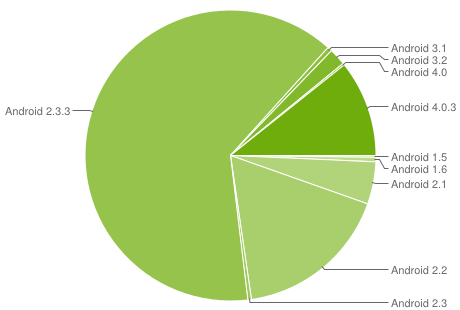 More than half of Android devices are running version 2.3.x Gingerbread (64 percent) and almost 11 percent are running 4.0.x Ice Cream Sandwich. Ice Cream Sandwich was released last October. Adoption has been slow. In January only about half a percent of Android devices were running ICS. While the latest share numbers are encouraging, with Jelly Bean's full scale release this month, it remains to be seen what will happen to ICS's adoption numbers. Speaking of Jelly Bean, in what Google hopes wasn't a sign from the technology gods, a statue erected on the company's grounds to celebrate the OS's launch has been decapitated. Apparently, the plastic statue overheated in the California sun causing the head to pop off, according to Google employee Dan Morrill. He adds that the statue's designer is working on a bug fix for the monument. 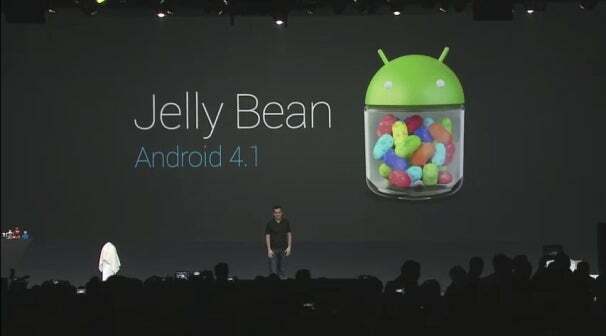 In the meantime, Google is requesting that passersby not loot jelly beans from the beheaded sculpture.